Oh grill, how I have missed you. It is finally that time of year, it is time to heat up the grill! I seriously miss my grill all winter long. I can’t wait for spring to finally come so I can actually open my back door and get to the grill. 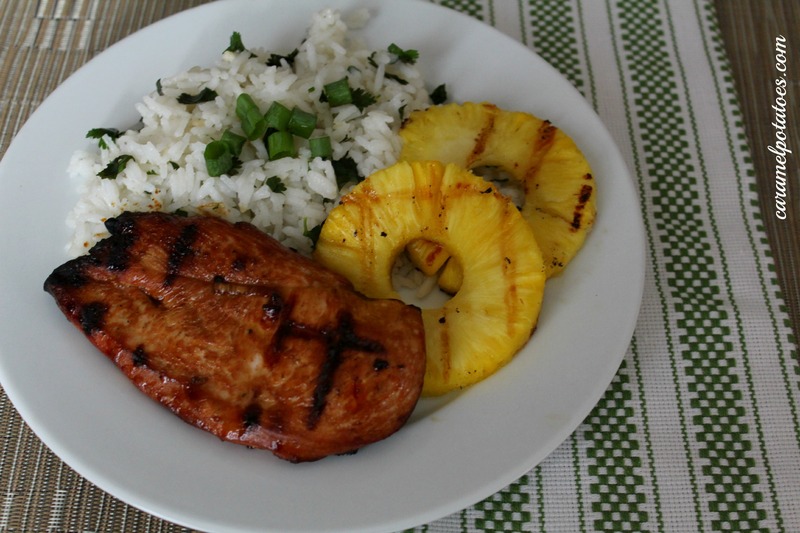 This is a simple Hawaiian flavored chicken that is ready to bring on summer! It goes great with a Coconut Cilantro Rice-and yes recipe coming tomorrow!! Combine everything, but the chicken in a gallon size ziplock bag. Add the chicken, marinated for at least 4 hours or up to overnight in the refrigerator. When ready to grill, preheat the grill to medium-high. Cook chicken until no longer pink in the center about 6-8 minutes per side depending on the thickness of your chicken.